BAGUIO CITY – The Regional Development Council Economic Development Committee, led by its Chair, DTI-CAR Regional Director Myrna Pablo, is reviewing the Investment Priorities Plan (IPP) 2018-2022, a guide for the private sector on the potential investment priority areas in the Cordillera region. The Econ Dev Committee met last March 8 to generate inputs to the IPP and consult with the various regional line agencies and civil society organizations. Earlier, consultations were held with the RDC committees on Watershed and Environmental Management and Social Development. 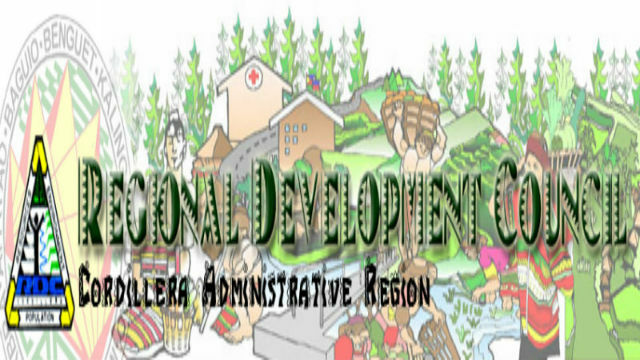 The Econ Dev committee through the NEDA-CAR Project Development, Investment Programming, and Budgeting Division (PDIPBD) will continue to hold consultations in the upcoming weeks for the RDC committees on Indigenous Peoples’ concerns, Infrastructure, and Development Administration. Inputs from other sectoral committees shall ensure that the IPP is inclusive, covering all investment priorities of the region. Initially, NEDA-CAR consulted with all the LGUs of CAR and based on their submissions and suggestions, the top priority investment areas are in tourism, hydropower/alternative energy, and business process outsourcing. “The IPP is a very critical document of the RDC. It is something that is in demand among our stakeholders”, said RDC Vice Chair and NEDA-CAR Regional Director Milagros Rimando. Director Pablo added that the maturity of the industry and government support are additional parameters needed in determining priority investment areas. The initial considerations include the capacity for employment generation, value-chain development, the extent of geographic areas of coverage, use of abundant local raw materials, environmental sustainability, and inclusivity. The IPP guides private sector investors on the preferred areas of investments of the various local government units of the Cordillera. On the other hand, the Regional Development Investment Program 2018-2022 guides priority investments for the public sector in the region. The IPP’s other priority investment areas are metalcraft, mining of precious metals, air transportation, coffee production, medical services and facilities, waste management, and bamboo craft.